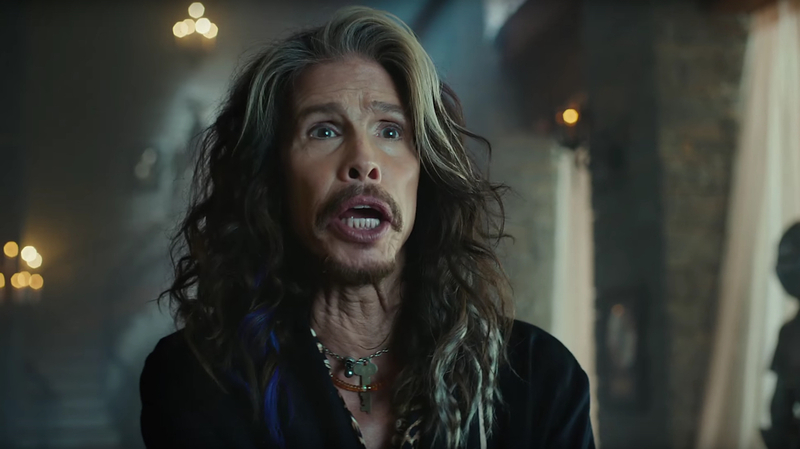 Check out how Steven Tyler keeps the dream alive in this Skittles Super Bowl 50 commercial with special guest, Steven Tyler. Inimitable frontman Steven Tyler is hardly amused by his freshly unveiled, candy-coated collage portrait of himself in a Super Bowl 50 spot—aptly dubbed “Portrait”—edited by John Smith at Whitehouse Post for Skittles. Working in collaboration with DDB Chicago and production company Biscuit, Smith helps weave a narrative in which robe-clad Tyler engages his exaggerated, grinning likeness in a vocal clash to the tune of Aerosmith’s classic, “Dream On.” The portrait, of course, faces quite the uphill battle in competing with Tyler’s incomparable vocal chops, and together the dueling duet continue the quirky consistency of Skittles campaigns.